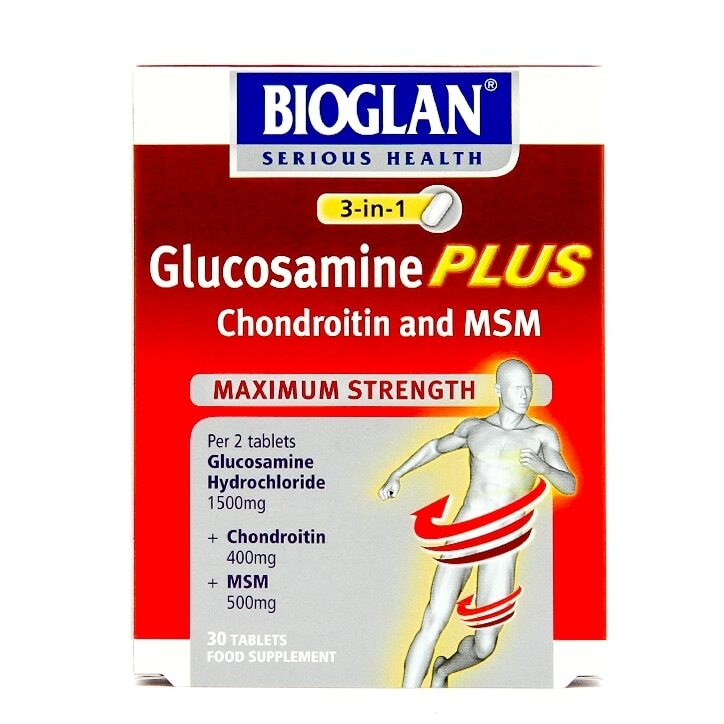 Bioglan Glucosamine Plus Tablets is rated 4.1 out of 5 by 10. Rated 5 out of 5 by Liudmyla from Great product. I recommend. Great product. I recommend. I use products more than 2,5 years. I feel great. Rated 5 out of 5 by Anonymous from Quality product To be honest i`m using them not only for myself but for my border collie ( 1 a day ) who has arthritis in his hips and back legs and the Vet said o.k. to give him them , can`t tell yet how much they`re helping but he ain`t any worse watch this space . Steve . Rated 5 out of 5 by Joint from Excellent I have used this product for years now following trial and error with lots of different brands. I think this is the best product for me and wouldn't be without it. When I don't take it, my knees certainly let me know!!! Rated 4 out of 5 by quartz from Just what I need Everything I need in 2 tablets per day. Perhaps not the cheapest but I am very happy with the results since I have been taking them. Rated 5 out of 5 by SueN from Excellent Value A good source of Glucosamine at a good competative price. Large tablets bit ok when cut in half. Rated 5 out of 5 by Nelson from Superb Brilliant. Great product + speedy delivery = Happy Customer. Rated 5 out of 5 by MrsR from Great product Although this product may require you to take two tablets a day (as other reviews have already said) it definitely does deliver on the results! I would highly recommend...you can't put a price on your health!! !